One of our favorite add-ons is the Simple Booth. In short, it's a high-tech photo booth with cellular connectivity. This feature is different from most traditional photo booths because it allows your guests to send photos to themselves in real-time. The Simple Booth is autonomous, and uses a rechargeable battery, which makes it super portable and convenient for your guests to enjoy. You can choose the GIF or just a regular photo option. The Simple Booth looks great by itself, however you can certainly provide your own props if that's what suits you! You will also receive a copy of every photo taken in your final wedding gallery. Simple Booth photo albums are available per request. 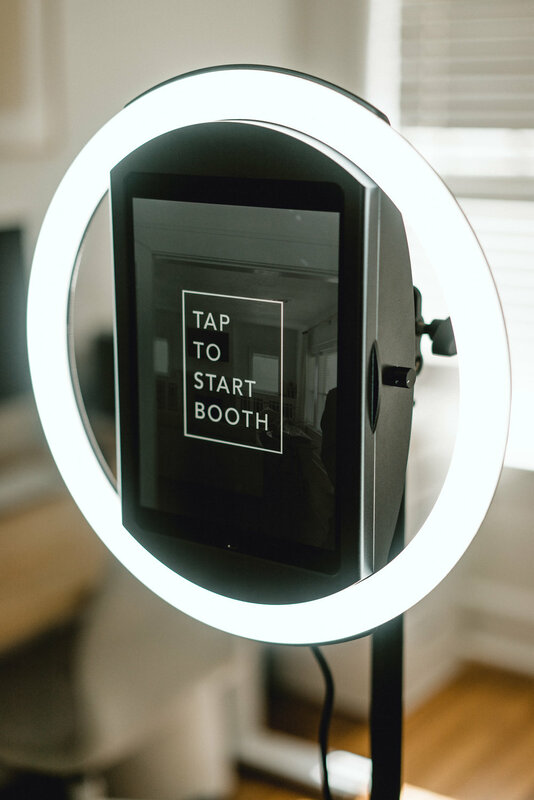 The Simple Booth is a great interactive way for your guests to remember your wedding day using modern technology.